One of the oldest weapons, daggers earned an evil reputation early in history as the favorite tools of assassins and thieves, a theme reflected accurately in today’s video games. 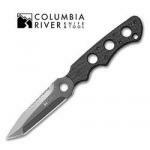 Small and easily concealed, the knife’s success depended on surprise. In open combat, warriors of ancient armies carried daggers as backup weapons but depended on polearms for the main attack. 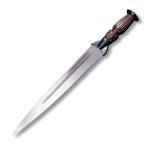 During Europe’s dueling era, daggers became the preferred offhand defense weapon. Parrying daggers with specially designed blade-catching hilts became popular among fencers, but the need faded as firearms took over both the military and dueling worlds. Today’s soldiers carry daggers for the same reasons as their predecessors — it’s a deadly knife that’s easily tucked away in a boot or pocket, something to grab for a last defense or a first strike. For collectors, daggers offer some of the most beautiful styles, since even the simplest still shows the symmetry and primal quality of this most ancient knife pattern. The look has had all of human history to evolve. 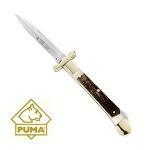 Daggers aren’t the most practical knives for ordinary work, so if combat isn’t your reason for knife shopping, consider that a dagger’s double edge provides very poor thumb leverage. 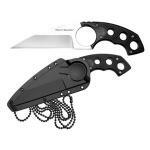 If you’re shaping a piece of wood for a shelter frame or dressing out game at the edge of camp you need a knife that’s more controllable. 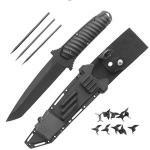 The dagger is more weapon than tool. 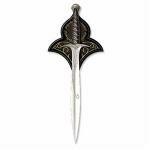 A truly amazing functional replica of Old World technology, our choice for the best dagger is the Main Gauche Trident takes parrying to the highest possible levels. 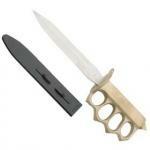 The 1918 Trench Dagger’s brutal efficiency qualifies it as one of the finest fighting knives ever built. It’s everything you need except pretty. From the Swords of the Ancients series, the Navros Dagger shows the imagination and technical expertise of a fine artist in engraved steel. Nearly everyone knows the story of King Arthur's Excalibur, but fewer have heard of his favorite dagger, the magical Carnwennan. 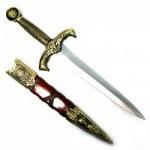 Consider the massive King Arthur Dagger from Denix, a Spanish company specializing in accurate reproductions of old weaponry, if you're seeking a dagger worthy of the Round Table. In a perfect size for desktop display, these Dragon Dagger Swords should please any gaming fan looking for real-world loot. 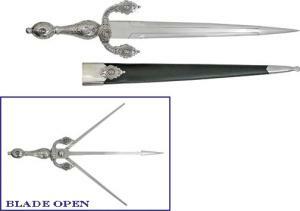 Although the design looks Klingon, the inspiration for modern crescent daggers actually came from real weapons used in Chinese martial arts. 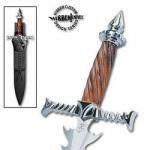 Imported from China by Trademark Global, the Night Stalker Fantasy Knife Sword looks best on the polished hardwood wall plaque but can be worn on the arm. If you're tempted to try it out, consider some of the basic safety issues and punch with caution. 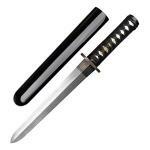 With quality similar to that of the designer's custom blades, this double-edged Tanto Yoroidoshi Dagger is actually a production version based on the work of Wally Hayes, a sword smith from Ontario, Canada. 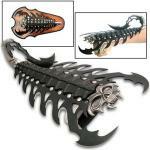 Fantasy weapons like the Death Stalker Scorpion Arm Dagger reside in a world out of reach of practical concerns. 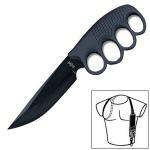 Built for the collector as well as the game fan seeking a true-to-life loot drop outside the virtual world, this combination fantasy punch dagger and arm guard won't disappoint. 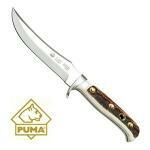 Once again Cold Steel has put their modern interpretation into a traditional knife style, and it works well. 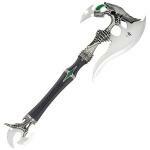 This time they've revolutionized the Scottish Skean Dhu blade. That means "black knife" in Gaelic, so I'm not sure how they got the name "Brave Heart". 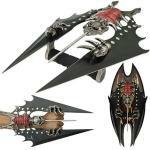 This is a great deal for a limited edition Kit Rae fantasy dagger. The Navros dagger here is the special-edition model, plated in 24K gold and limited to only 1500 pieces, so it's a rarity as well as a beauty. 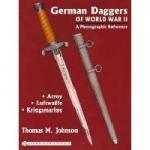 Book of Collectibles | WWII Daggers, German Bayonets, etc. 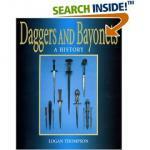 One hundred and twenty eight pages devoted to nothing but daggers and bayonets! After a long, successful career in the US Military, Thomas M. Johnson embarked on a career as a writer. 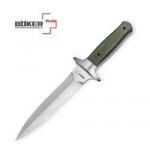 Specializing in German edged weapons and other German militaria, he is considered on of the leading authorities on the subject. 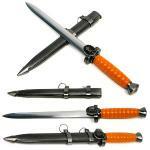 It's very difficult, and often expensive, to find original WWII daggers. For a serious militaria collector, a replica will often make due as a place-holder or to fill in gaps in a collection. 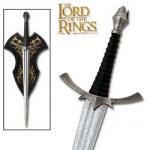 This replica is representative of the period, and is perfect for a collector or history buff.